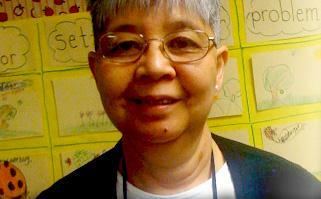 Florence is a wife, mother, retired teacher, and writer. A graduate of Fresno State College, with a BA in Social Science, she later received Texas Lifetime Certification in Elementary Education (EC-8), Early Childhood Education, and English as a Second Language (ESL). Reading Recovery trained through the University of Houston at Clear Lake, most of Florence’s teaching experience has been with the young struggling reader and writer. The need to make individualized books for the child with a limited repertoire, turned into a collection and became Easy-to-Make Books That Target Specific Reading Needs (PK-K-1), published by Scholastic in 2009, to support the early behaviors of reading. – Donald Graves has said, “The teaching of writing demands the control of two crafts, teaching and writing. They can neither be avoided nor separated.” I hope to share that deep understanding with the students I teach.